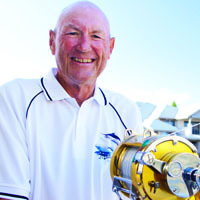 Using circle hooks exclusively, Barry Alty of Australia has tagged and released more than 650 billfish of six species, along with several mako sharks. Ten of the black marlin Alty released were estimated at more than 1,000 pounds. Alty has received more than 20 awards in the past 10 years for his fishing accomplishments.